William Staite Murray (1881-1962), one of the most important British potters and educators of the inter-war years, was also one directly affected by avant-garde ideas in current British and European painting and sculpture, exhibiting his work in fine art galleries and considering his pots primarily as a type of sculpture, objects which united original often anthropomorphic form with deft expressive brushwork. 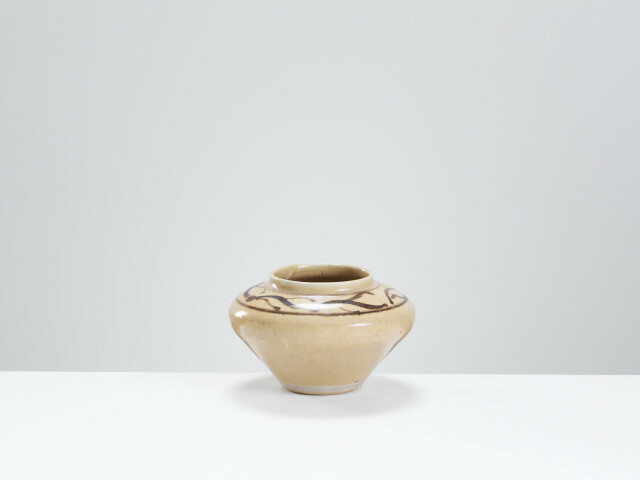 His distinctive and original shapes, which included flared bowls with prominent feet and tall tapering bottles, grew increasingly Chinese in character, and perhaps even nearer to the purity extolled by the formalists of that time. Educated at Camberwell, he was based in Rotherhithe and then Brockley before moving to Bray. He nurtured the genesis of the ceramics department at the RCA, before moving to Rhodesia in 1940, a departure which probably contributed to the decline in his reputation, and his relative neglect for many years. But to see a group of tall Murray vases together in a single space is one of the great spectacles in studio ceramics.